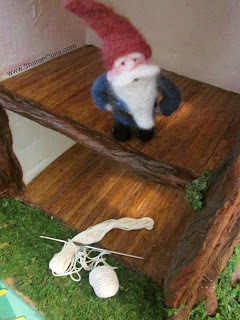 Where The Gnomes Live : Don't Do It Gnomey! 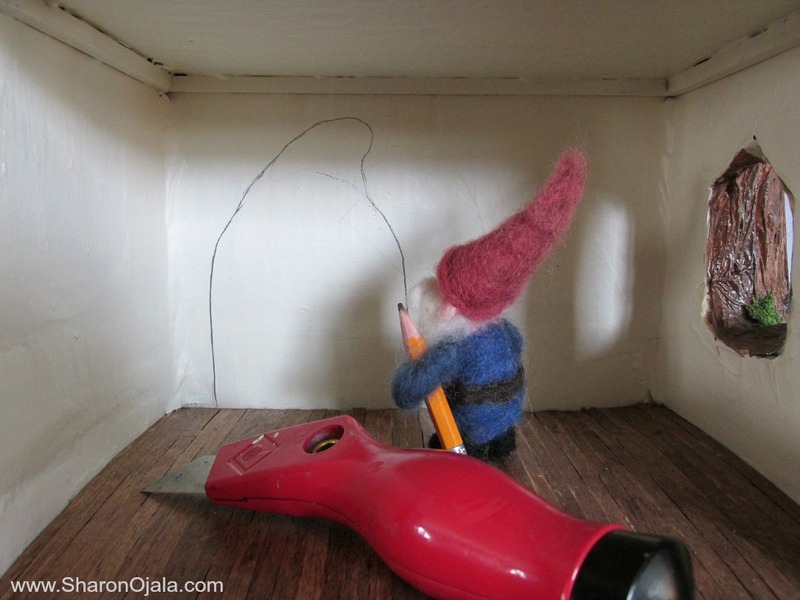 If you're following me on facebook you'd know that yesterday Gnomey decided that he wanted a door. Of course he wanted to design it himself... ummm... ok? A door in the shape of a gnome hat, lol alright. 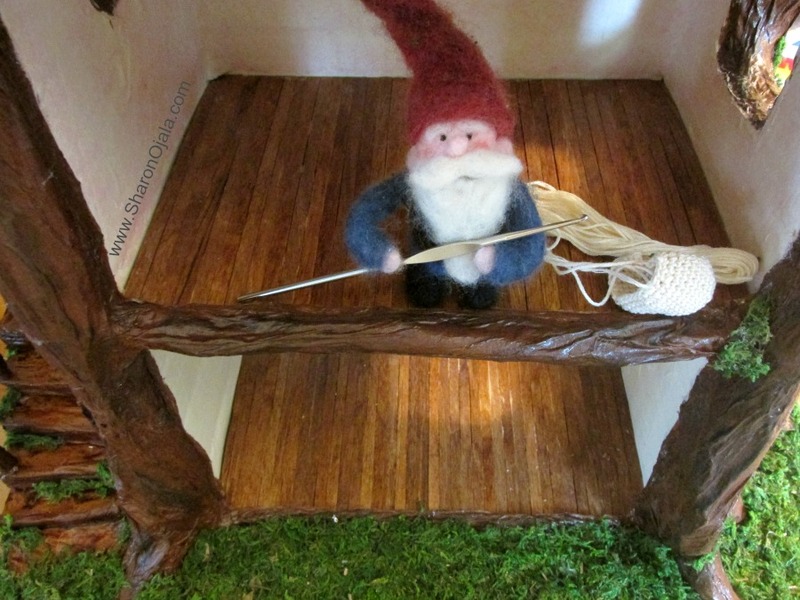 Whatever you say Gnomey! So I told him I will add the door but I have to do the cutting myself . And I also told him that I did have other plans for the day like I was in the middle of crocheting a surprise! 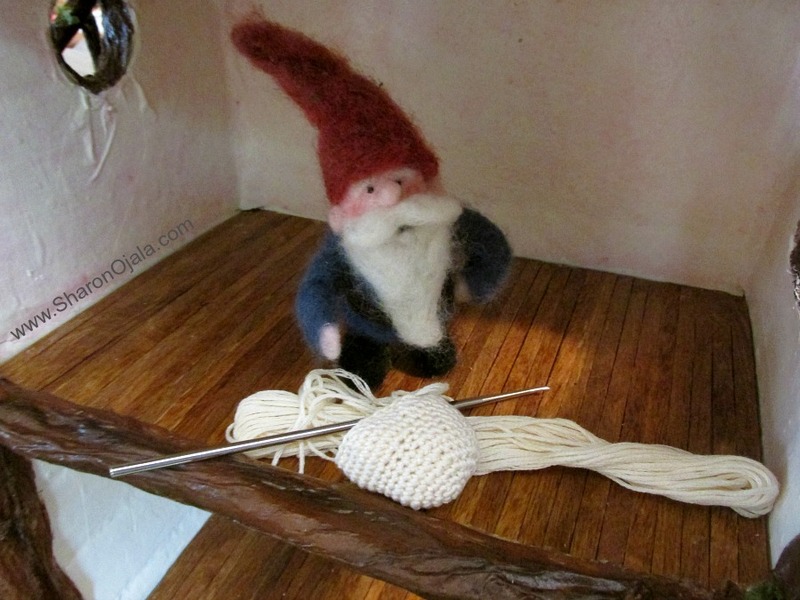 Gnomey is not interested in crochet. He flat out told me whatever it was to keep it out of the house and just work on the door. The door was way more important than crochet! But I forgot about his orders and I worked on the crochet surprise anyway. 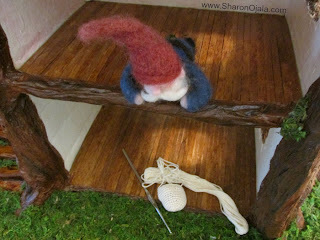 And I also forgot it in the house when I went to bed last night and this morning Gnomey found my hook and thread. hey! what are you doing Gnomey? Wow, I can't believe you did that Gnomey! lol, ok little man! You made your point.. but I'm going to keep crocheting and there better not be any knots and tangles in that thread now!